PARIS (Reuters) – France should appoint a “food safety police” and increase fines on those who sell contaminated products to avoid a repeat of the salmonella outbreak at a Lactalis milk factory last year that led to dozens of babies falling ill, lawmakers said. “Those who do not play by the rules must suffer the consequences: criminal and financial sanctions that will be much more important than the current ones,” said Gregory Besson-Moreau, head of the committee. The sanctions would be in relation to company turnover, rather than be fixed amounts, he said. He also suggested imposing a fee on food producers to finance state-run inspections, something that has been allowed by the European Union. This could raise 270 million euros per year, and lead to the creation of 800 jobs in a new “food safety police” reporting to the farm minister, he said. Farmers would be excluded from the additional tax. Food inspections in France are currently split between three administrations – economy, food and health -, which has created gaps and confusions in previous crises. 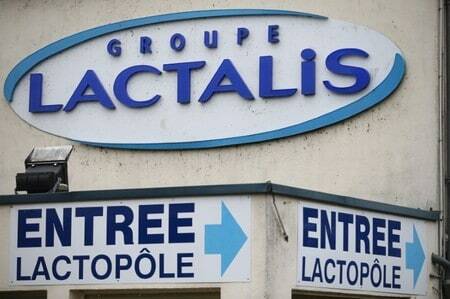 Between early April and mid-June the enquiry committee into the Lactalis affair held 35 hearings, questioning the ministers involved, Lactalis Chief Executive Emmanuel Besnier, CEOs and senior managers of France’s biggest retail chains, unions and inspection officials. Lactalis declined to comment on the report but said it would respect any new regulations. Improved checks and consumer information were also necessary given a risk of “food terrorism” – deliberate contamination or poisoning – the French lawmakers said. In a separate report handed to Economy Minister Bruno Le Maire on Tuesday, a consumer affairs body stressed the need to review the product recall process in France. Le Maire took up their proposal to use clients’ bank details to identify and contact people who bought suspicious products and agreed to create a system that would bloc recalled products at checkouts. He also announced the launch of a single internet website to gather information in case of a health crisis.